We discuss the difference between providing care "to" and "with" clients. Another way of saying it is, caregivers are often tempted to do many care tasks to clients with dementia, rather than with them. 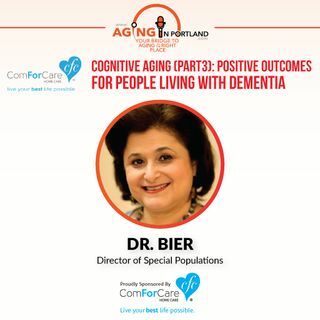 Dr. Bier of ComForCare discusses care strategies that help your loved ones live with dementia and﻿ feel more independent by getting them more involved in their own care. At the end of the day, caregivers can "create better days" for their clients living with ... See More dementia.